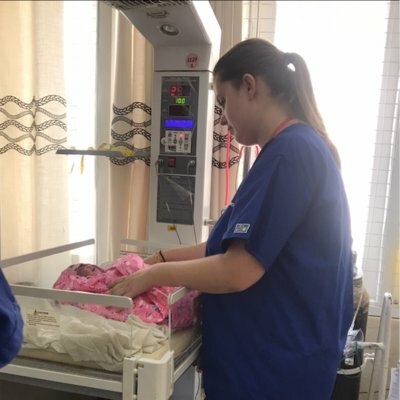 As part of my Adult Nursing degree, I was required to do an elective placement for my Global Perspectives of Nursing unit. I had always been interested in traveling, so I knew that I wanted an international placement from the word go. I wanted a challenge. I wanted to be out of my comfort zone, and to encounter things I had never seen before. My trip to Sri Lanka certainly delivered. I was aware of Work the World through previous student recommendations. I did do a bit of research around other companies, but I liked that Work the World weren’t pushy. I wasn’t bombarded with sign up emails, plus they had the best destinations! Asia was always somewhere I’d wanted to go, and Kandy in Sri Lanka, was the place that stood out the most for me out of all Work the World’s destinations. I liked the idea of being in the hustle and bustle of a busy city and observing in a large teaching hospital. I knew there would be an abundance of culture and learning opportunities for me. Plus, who wouldn’t want to see elephants on safari and relax on paradise beaches? From the initial registration right through to my departure date, I could not fault Work the World and the support I received. Everything was made so easy that I barely felt like I had to do anything in preparation for my trip. MyTrip—Work the World’s online placemnent planner was brilliant. It was so easy to navigate and I was able to view information regarding my placement hospital and my specific clinical interests. 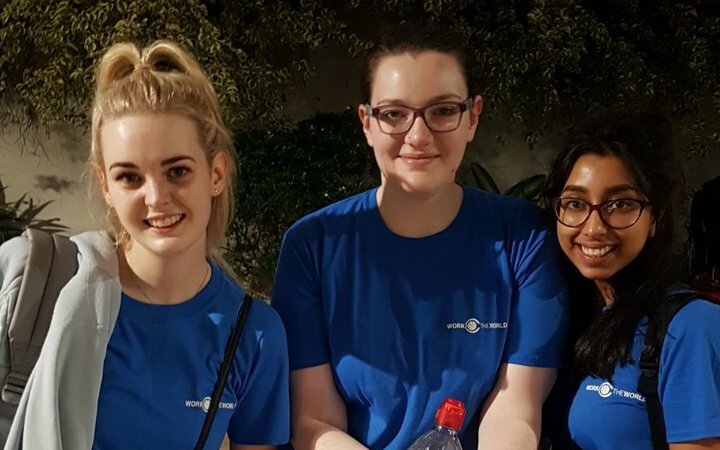 There was also information about the Work the World house, the team in Kandy, and the housemates I was going to share the house with. The long-haul flight took it out of us. When my two uni friends and I arrived in Colombo, what we had signed ourselves up for finally hit home. As soon as we entered the arrivals hall in Colombo airport, we saw a member of Work the World team waiting for us with some other new arrivals. His smile was highly contagious. Before I could introduce myself, he said “Hello !”, which eased any nerves I had. He quickly produced a bottle of water for each of us, which was most welcome in the muggy heat—it’s the little things that count. 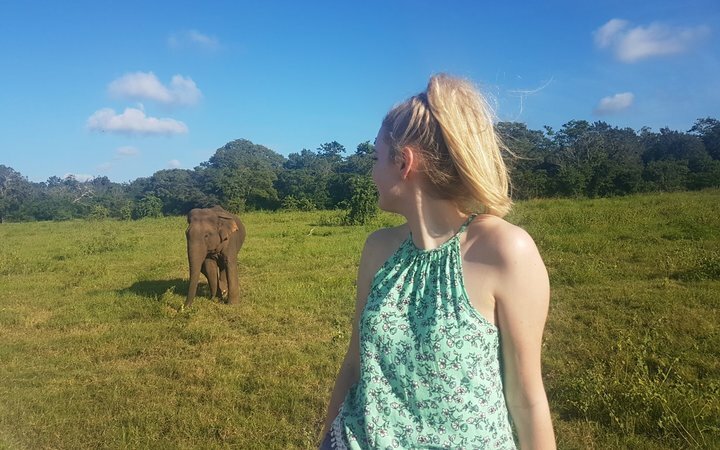 We got our first taste of Sri Lanka as we hopped onto a local minibus. The ride was a great bonding experience for me and the other new arrivals, whom I had just met. To break up the journey from Colombo to Kandy, we went for a traditional Sri Lankan curry buffet, a firm favourite in Sri Lanka. During our first afternoon in the house, we met our housemates. There were 12 of us in the house at the time, and although we shared bedrooms, bathrooms and communal living spaces, there was plenty of room for all. I met people from Australia, Holland, America and other parts of the UK. 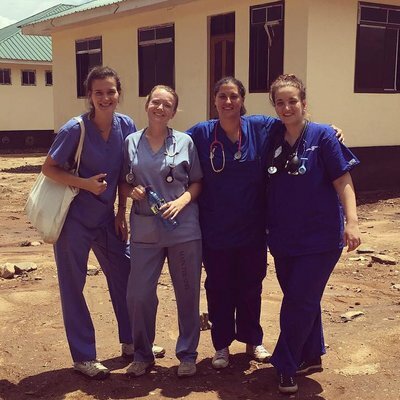 They were undertaking Nursing, Midwifery, Physiotherapy or Medical placements. The differences between us were great, but I loved hearing and learning about everyone's experiences, like their training and lives back home. To share the Kandy experience with like-minded people impacted me more than I ever thought it would It was amazing to share unique bonds with strangers who quickly became my ‘Kandy family’ from around the world. 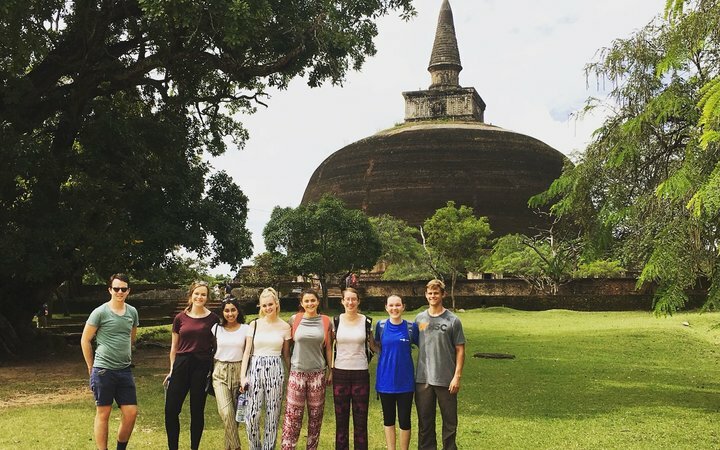 My time in Sri Lanka wouldn’t have been the same if not for the people I shared it with. As for the Work the World team in Sri Lanka, well, they were amazing. The home comforts I initially craved soon faded from memory, because as clichéd as it sounds, the Work the World house really did feel like a home from home. The whole team were fab! Whether it was a quick chat or a debrief after a day on placement, creating alternative food options (all dietary requirements were catered for and we never went hungry), or chasing off the local monkeys, the house was made to feel very safe and welcoming. Our first full day in Kandy was all about settling in. 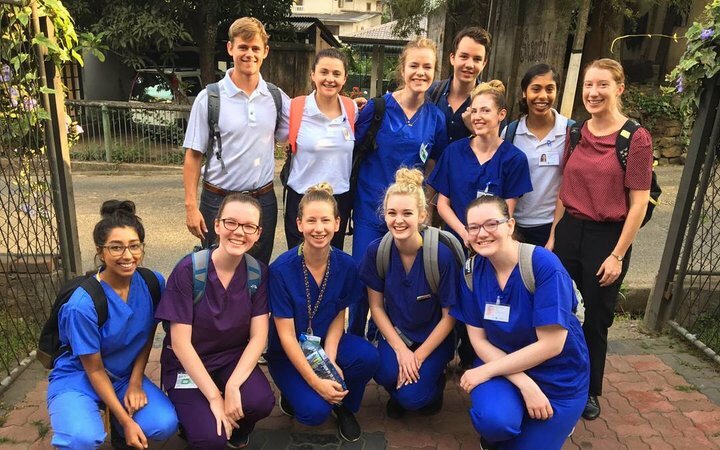 We went on an orientation tour of Kandy where we learned where we could exchange money, get Sri Lankan sim cards, had a quick introduction to Sri Lankan transport, and learned how to get into Kandy centre and to our placement hospital. Never did I think I would hear myself say “I love the bus”, but I loved the bus! There was no better way to do it than like the locals. Wave down a packed bus, jump in, and hang on! The team took us to the hospital on our first day of placement. I was introduced to the chief nurse, taken on a tour of the hospital and shown the wards that I was going to spend time in. I chose General Medicine, General ICU and General surgery. I saw admissions that I had never seen in the UK, like dengue fever, pesticide poisonings, and snake and spider bites. I was, at least at the beginning, shocked to see patients sharing beds, including children sharing with adults. I was also surprised by the fact that patients had nothing to eat if food was not brought in by relatives. Much of the bedside care was the patient’s family’s responsibility, which I thought was nice from a cultural point of view. Observing in theatre was quite something. I remember being in awe watching three surgical procedures take place in the same theatre, commending the three non-sedated patients as they wailed through the pain. Sri Lanka is a beautiful country with plenty of things to see and do. We spent many afternoons and evenings exploring. 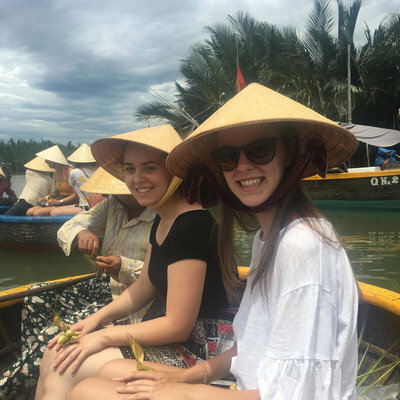 We ambled around local markets, wandered through the Botanical Gardens, explored historical and cultural sites like the White Buddha, and occasionally tried things that were a little more adventurous, like white water rafting. 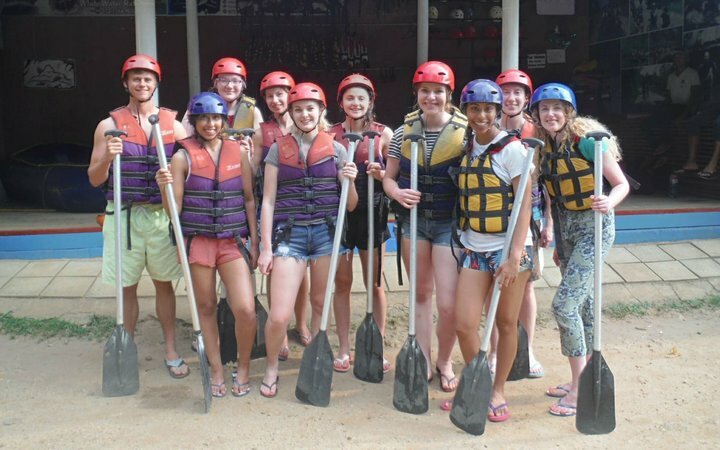 Placements are only Monday to Fridat so the weekends presented us with opportunities to explore further afield. We visited places like the cultural triangle and the beaches on the south coast. 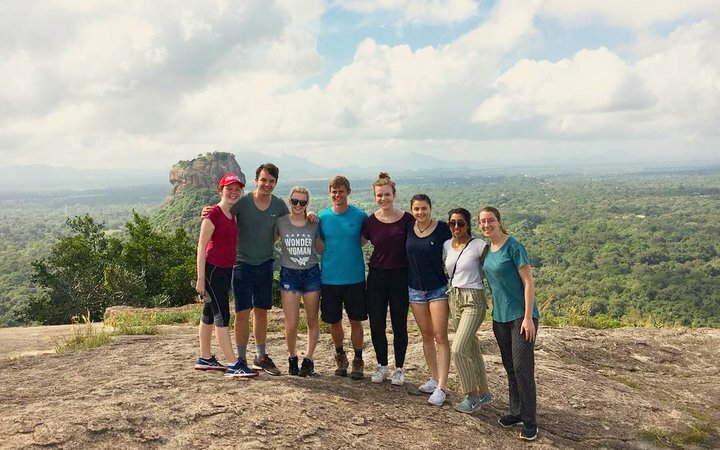 The team at the house were always keen to encourage us to go and see Sri Lanka on weekend trips, giving us plenty of tips for the best things to see and do. Sri Lanka was beyond amazing. The country had a special impact on me that will last forever. It opened my eyes and broadened my horizons to so much more. If you’re considering booking an elective overseas, just do it. Remain open minded and you’ll experience one of the most amazing adventures.